Treating profit like an afterthought, secondary to growth, usually has the effect of running your business into the ground. 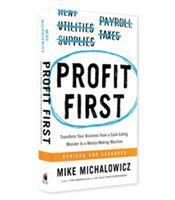 Mike Michalowicz shows how to take profit first and spend only what remains on expenses. With this one change you will instantly transform your business from a cash-eating monster to a profitable cash cow. Why following four principles can simplify accounting and make it far easier to manage a profitable business by just looking at bank account balances. 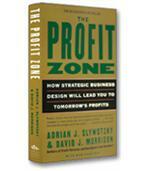 How taking your profit first both enforces frugality and inspires industry-changing innovation. 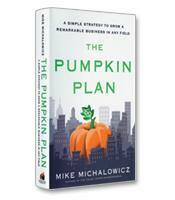 Why a small, consistently profitable business can be worth much more than a large business that struggles to sustain itself.